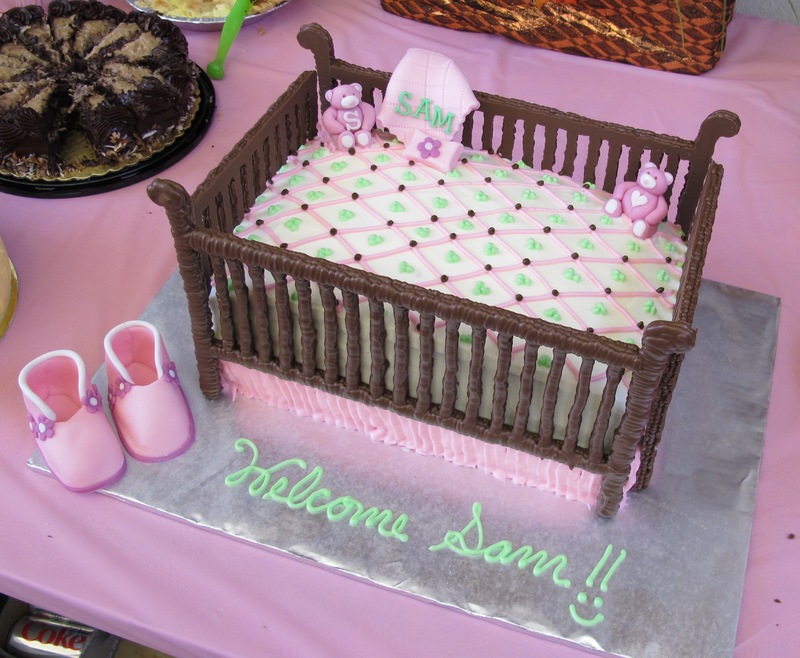 For my cousin’s baby shower, I decided to make a crib cake to welcome baby Samantha, or baby Sam. I decided to add more color this time to give it a little bit more “pop”. I usually shy away from colors in cake decorating because I’m not really color savvy. Also, once you pipe the colors on, you can’t take it back, unless you start from scratch. And believe me, starting from scratch when the party is 30min. away from starting is not where I want to be. To make the crib posts, I sketched them on paper, covered the paper w/ wax paper, melted chocolate, and piped the chocolate on the wax paper, tracing the crib posts. I usually pipe over the 1st piping, when the chocolate has cooled, because it is too fragile. 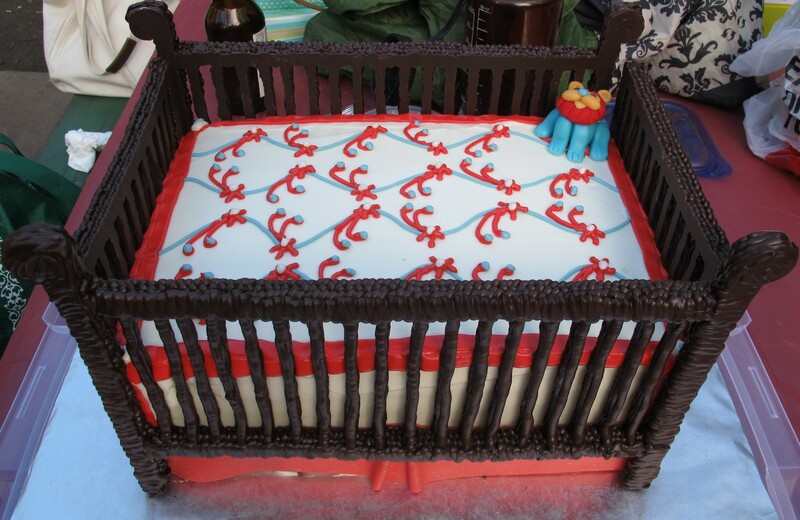 By layering the piping, I add strength to the crib posts which makes handling them easier and worry-free. 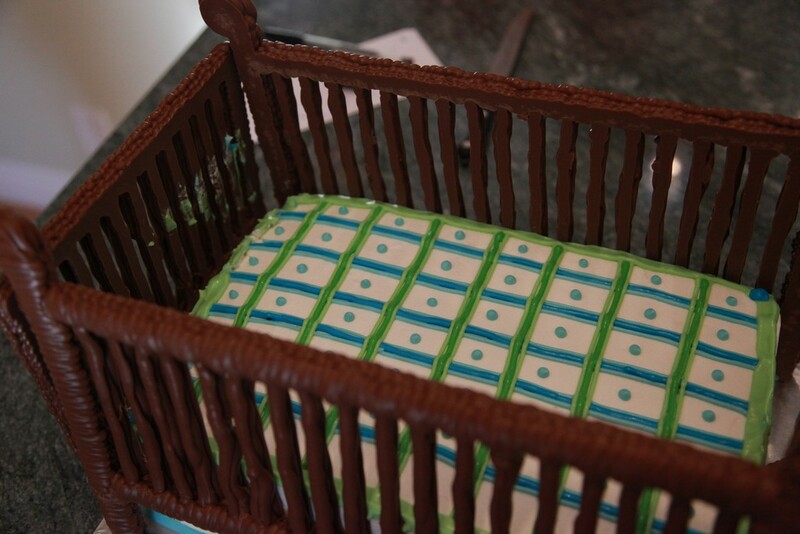 For a co-worker’s baby shower, I decided to make a crib cake. 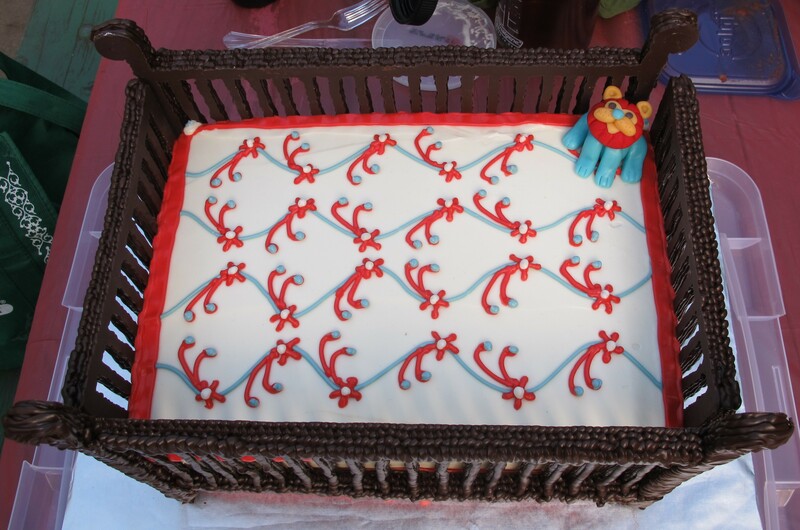 The cake itself is pretty easy since I used 9×13 baking pans, but what was hard, was piping melted dark chocolate to create the crib posts. I had to make the posts pretty thick so that it wouldn’t break easily with handling and while standing up. Since I had a hard time trying to make the posts smooth and straight (my hands aren’t steady enough to draw nice straight lines quickly) I decided to intentionally wiggle my wrist while piping the chocolate. If you notice, the crib posts look like it’s rattan. 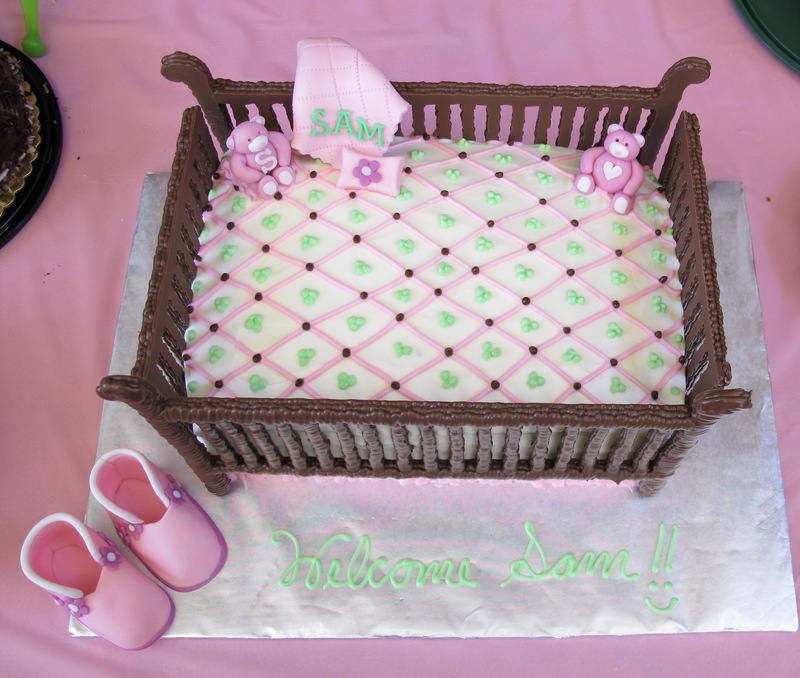 If you notice, most, if not all, cribs are not made out of rattan. Oh well, it gave it a more interesting texture. I decided to decorate in pinks, browns, and heart shapes since the baby was due close to Valentines day.